What to look for when buying a used Chevrolet Traverse? The Traverse was introduced in 2009 as a full-sized crossover seating up to eight passengers. It shares a platform and production with the GMC Acadia and Buick Enclave. The crossover has received several facelifts during its production to keep it competitive with today's fast-paced market. A new-generation Traverse is introduced for the 2017 model year. Sales for the Chevrolet Traverse have been brisk throughout its run and this popular crossover can be found on the secondary market as a quality used car in many places. Consumers should be aware, however, that high-mileage Traverse models have gained a reputation for engine and power steering failures. Especially in the 2009-2011 model years. So caution should be exercised when shopping these models. The Traverse has enjoyed a better than average safety rating throughout its production, with crash tests resulting is excellent scoring on most counts. The Chevy Traverse has several good things going for it as a family vehicle. It is relatively inexpensive for a large crossover, has a lot of interior space, and drives well with its powerful V6 engine. The Traverse's interior is well-designed for family hauling duties with good versatility. Several examples of Traverse models are available on today's used car market. Any of them could make for an excellent vehicle purchase. Those looking at the Traverse may also want to consider the Honda Pilot, Toyota Highlander, and Ford Explorer as options. Shoppers may also wish to shop the more upscale GMC Acadia, which is mechanically similar to the Traverse. What Chevrolet Traverse model year and mileage can you get for your budget? The Traverse was fully redesigned for the 2018 model year, sporting a lot of key changes and improvements over the previous generation of the crossover. The new Chevrolet Traverse is a top pick for us in three-row family crossover-SUVs with excellent fuel efficiency, dynamics, roominess, and cargo capacity. For the 2019 model year, the Traverse receives only a couple of minor changes, namely an upgrade to its central infotainment screen and small content changes. We rated the Traverse as an "A" product last year and continue to do so this year for the same reasons. 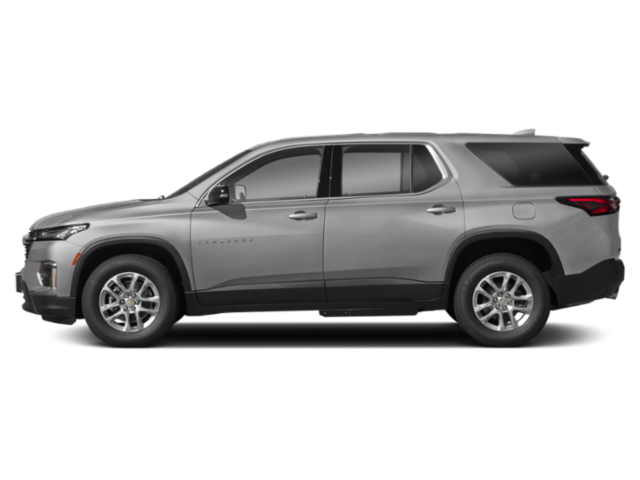 The 2019 Chevrolet Traverse is offered in seven trim levels with seating for up to eight passengers. Front-wheel and all-wheel drive are available and one trim point has its own engine as standard while the others all share the same well-done V6. There are a myriad of ways to configure the Traverse to fit a need, one of the key reasons this is such a successful family-oriented crossover-SUV. The Chevrolet Traverse has been fully redesigned for the 2018 model year, with key changes in fuel efficiency, engine power, rear seat legroom and more cargo capacity. In the venue of midsize three-row crossovers, the 2018 Chevrolet Traverse is bringing serious competition by resetting the expectations of the segment. The three-row Traverse offers a lot to growing and busy families. On the exterior, it holds a good design with a premium-styled look. Inside it's roomy and comfortable with a variety of cargo and passenger configurations that can be swapped around as needed. More infotainment as standard and a long list of available safety equipment are also high points. To go with the full redesign for 2018, Chevrolet also added more trim levels to give Traverse buyers the option of dipping into premium-level equipment and style without going to a premium brand to do so. In this way, the high-end 2018 Traverse High Country is comparable to the Buick Enclave in most respects. We like that General Motors is willing to cross its brands this way, giving buyers more options. The 2018 Chevy Traverse comes in seven trim levels, one that has a different engine, and seating for up to eight. Both front-wheel and all-wheel drive are available. Big, roomy, comfortable and capable, the 2014 Chevrolet Traverse returns in much the same guise as last year's refreshed three-row, eight-passenger crossover SUV. Family-friendly features abound, storage is exceptional and fuel economy is good for its size.